The boy baby in the picture is 2 months old (born on 4-July-2017). After birth, he did not pass stools spontaneously. Doctors diagnosed it as Hirschsprung disease (https://www.cincinnatichildrens.org/health/h/hirschsprung). Surgery is the only option for this disease. As a temporary solution, the stools are removed using rectal washes. Eventually, the baby became resistant for rectal washes and did not pass stools from last Sunday ( 3-09-2017). Now he is very ill and needs immediate surgery. This surgery will cost around 2 lakhs (including Operation theatre charges + surgeon fees+ ICU charges + medicines). His father Moorthy is working as a waiter in a small restaurant. It’s a very huge amount for him and he couldn’t arrange it. The surgery is being delayed due to lack of funds. 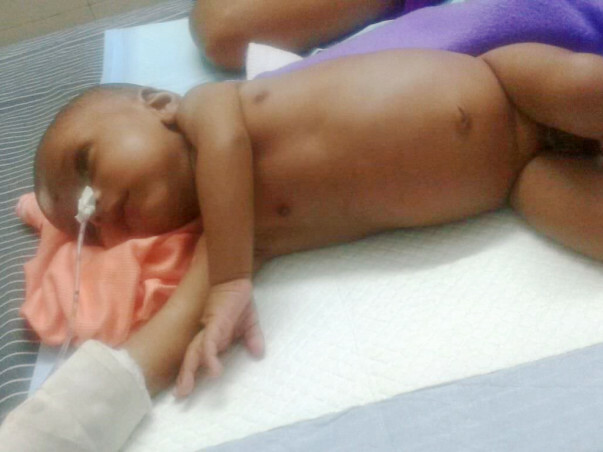 Our small contributions will help to save a little one’s life. Please contribute! The baby is still in hospital. Due to protein deficiency the stitches do not stick to skin properly and often it falls off. Till now the doctors had restitched two times. I will keep updating you. Thank you for all the love and support you have shown him. Please keep him in your prayers. 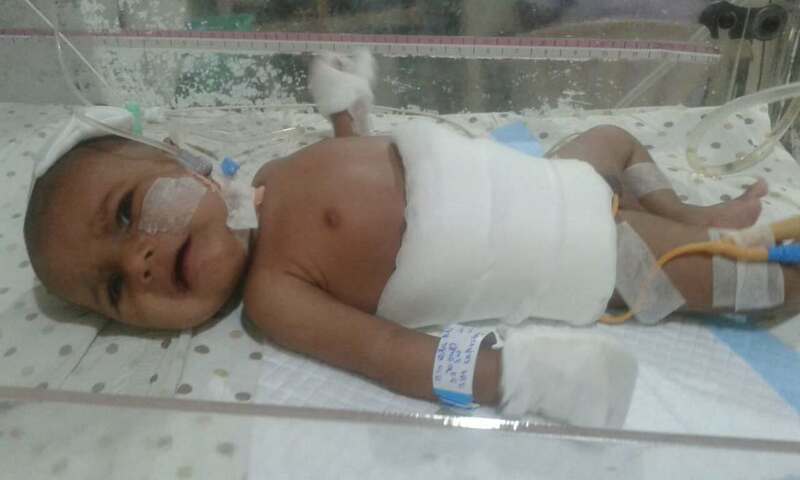 The baby was admitted to Kanchi Kamakoti Childs trust hospital on 13th Sep and the surgery was done on 16th Sep. The baby is doing good (the pic of the baby after surgery is provided at the end). The cost estimate provided by the hospital is around 1,50,000 rupees ( please find it at the end). In addition to that, we need to take care of medical cost which comes around 3000 to 7000 rupees per day (sample medicine bills for per day are provided at the end). On behalf of the patient’s family members, I thank you all for saving the life of the baby. Would request you to pray for her health.